US President Donald Trump has awarded Tiger Woods the Presidential Medal of Freedom following his return to Major-winning ways at the Masters Tournament. 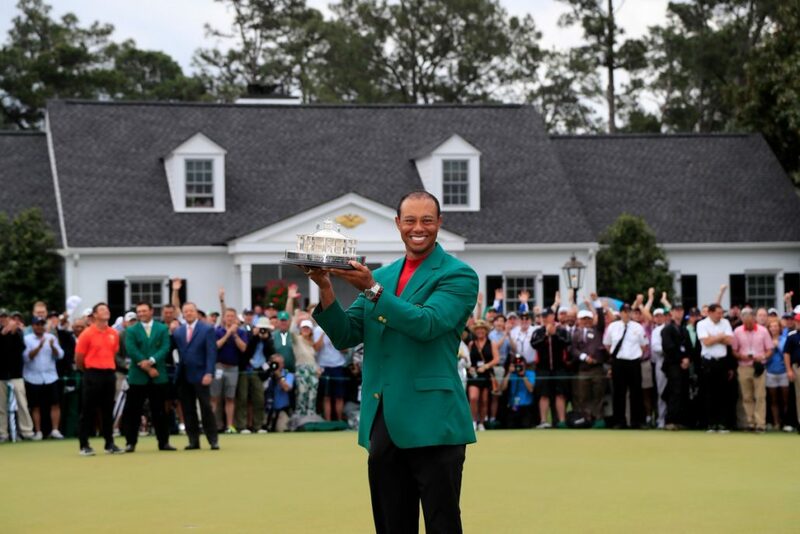 Woods won one of golf’s elite four events for the first time in 11 years, adding a fifth Green Jacket following a controlled performance of shot-making and putting excellence on Sunday. The win has been praised as one of the sport’s all-time great moments, with Trump taken aback by his achievement. ‘Spoke to @TigerWoods to congratulate him on the great victory he had in yesterday’s @TheMasters, & to inform him that because of his incredible Success & Comeback in Sports (Golf) and, more importantly, LIFE, I will be presenting him with the PRESIDENTIAL MEDAL OF FREEDOM!’ tweeted Trump, an avid golfer and course owner. The Presidential Medal of Freedom recognises those people who have made ‘an especially meritorious contribution to the security or national interests of the United States, world peace, cultural or other significant public or private endeavours. Michael Jordan was the last sportsmen to achieve the honour from Barack Obama, with Woods the fourth on Trump’s list. Alan Page, Roger Staubach, Babe Ruth (posthumous) all received the recognition in 2018.